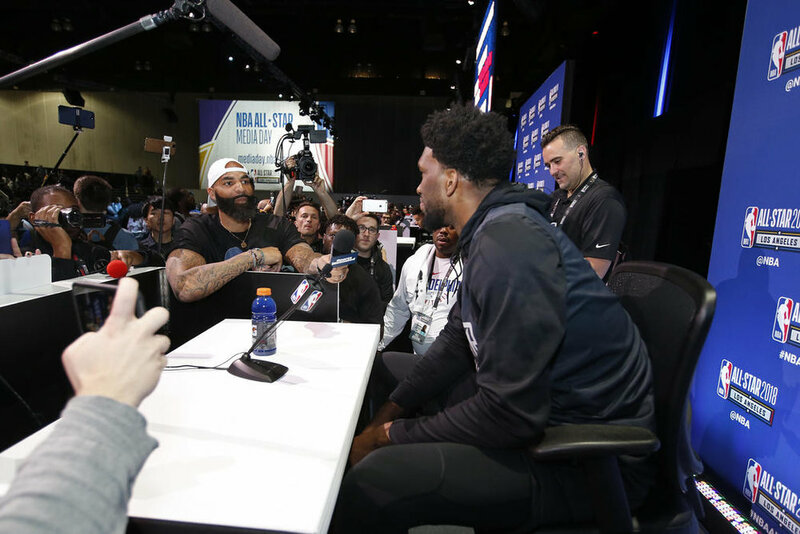 During All-Star 2018 in LA, the NBA restructured their media availability and created an event that continued to provide the media with the access needed for coverage of the weekend, but also showcasing this atmosphere to a live audience of fans. 3 Point oversaw the show calling and ROS production, with NBA TV’s Ro Parrish as studio host. Featuring live interviews with the NBA players and Legends, along with celebrity visits and live look-ins at the player interview pods, the strong feedback shows that NBA All-Star continues to provide new opportunities for fans to get closer to the experience. 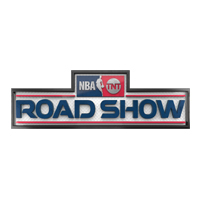 For the second straight year, 3 Point partnered with Turner Sports to produce the NBA on TNT Road Show at NBA All-Star Weekend. Updates to the programming included a variety of new sponsorship activations on the JBL court including the TISSOT :24 Challenge, JBL Knockout & JBL 3 Point Contest. The 4-day event included appearances by NBATV's Kristen Ledlow and Rosalyn Gold-Odwune as well as NBA stars Bradley Beal, Damian Lillard, Jayson Tatum & Kemba Walker. 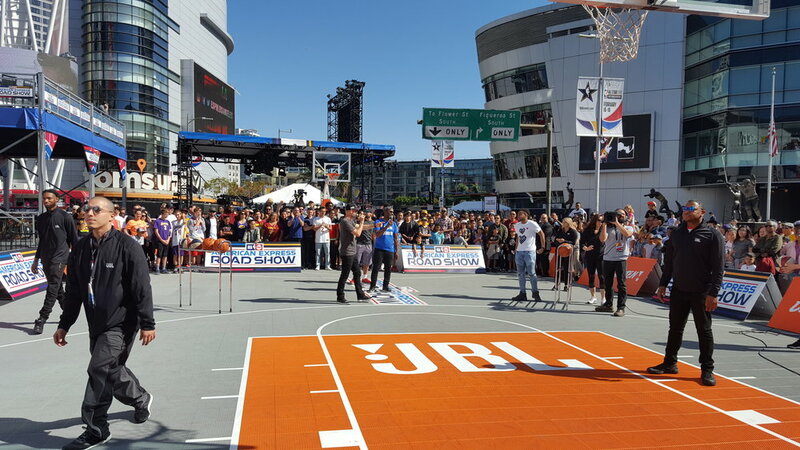 The JBL Court which served as the primary Fan Fest location for NBA All-Star 2018 was placed in the background of the NBA on TNT broadcast right on Chick Hearn Avenue outside of Staples Center. 3 Point's role at NBA All-Star continued to grow in 2017, as we expanded our relationship with Turner Sports to include the NBA's premier weekend. The NBA on TNT Road Show, after debuting at Opening Night in Cleveland, moved south to the BIg Easy and set up in Champions Square adjacent to the Superdome. With four days of wall-to-wall entertainment and programming, the fans enjoyed player appearances, competed in basketball contests and were treated to performances from NBA favorites like the Chicago Bucket Boys, Milwaukee Bucks Rim Rockers, Pelicans Dance Team and even the Golden State Warriors Dancing Mom! The NBA took a different approach at NBA All-Star 2016 with the installation of the NBA Centre Court in Toronto as the official All Star fan fest. 3PT partnered with Samsung's agency, CMYK to produce the full Samsung LED Court experience. The 4-days of events included LED court interactive fan contests, guest DJs and Player Meet & Greets hosted by celebrity interviewer, Terrance J. The Meet & Greets featured interviews and photo opportunities with NBA Stars, Paul George, Karl-Anthony Towns, Andrew Wiggins & James Harden. The experience celebrated Samsung users and brought them up close and personal with their favorite players and products. 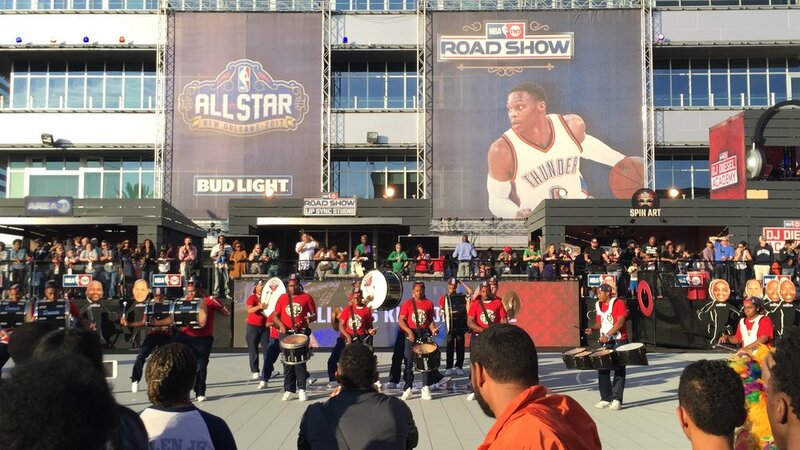 The NBA took a different approach at NBA All-Star 2015 with the installation of the NBA House fan fest concept, rather than the typical NBA Jam Session, with fans able to experience the excitement in both Brooklyn and Manhattan. 3PT produced center court programming for the NBA House - Brooklyn in the historic Paramount Theatre at LIU. Entertainment included appearances by NBA mascots, performances by the Sixers Dancers and contests hosted by NBA Legends including Gary Payton, George Gervin, Mitch Richmond & more. Each of the twelve 4-hour sessions were power-packed with family-style entertainment and contests for all ages. 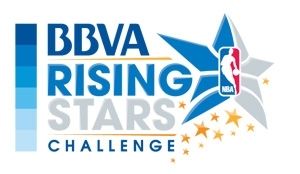 As part of NBA All-Star 2015, 3PT produced the BBVA Compass Rising Stars Challenge Practice at the collegiate home for Long Island University basketball in Brooklyn. But this was not your normal practice as the session was broadcast live on NBA TV, complete with player introductions and contests that paired the "Team USA" and "Team World" players alongside Wheelchair All-Stars and fans selected from the stands. It was a reunion of sorts as we once again worked with Sacramento Kings emcee Scott Fresh, along with NBA mascots and dance teams to entertain the fans. The NBA All-Star Game is the world’s premier sports entertainment event of the year and we played a key role in producing and directing the In-Arena Hosts throughout the evening. 3PT’s Pat Walker directed the 2010 edition of this game at Cowboy Stadium in front of a Guinness World Record basketball crowd of 108,713 fans. 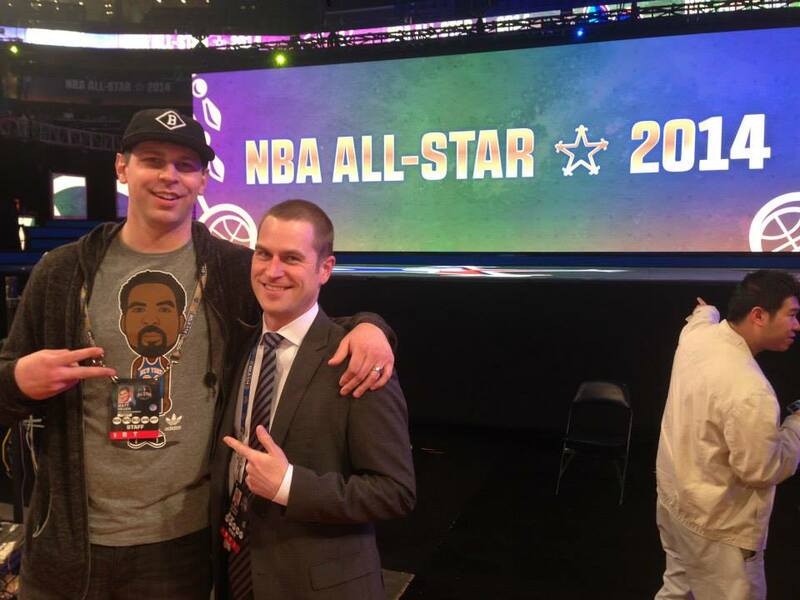 3PT was back in 2014 for one of the pinnacle events of NBA All-Star Weekend, once again serving as the In-Arena Host Producer, providing the cues for Nick Cannon, star of America's Got Talent. Featuring the Sears Shooting Stars, Taco Bell Skills Challenge, Foot Locker Three-Point Contest and Sprite Slam Dunk, this is one of the most complex productions in sports due to broadcast integration and pace of programming. For the third straight year, 3PT directed the Sprint NBA All-Star Celebrity Game during NBA All-Star Weekend, a game that tips off the weekend as ESPN's signature event. Actor and comedian, Kevin Hart, earned his 3rd consecutive MVP, with the 2014 game as the most-watched ever, drawing over 3.5 million viewers from broadcast and streaming online. At the NBA’s annual rookie-sophomore display, we worked with NBA All-Star host Scotty B and the New Orleans Pelicans’ Nicole Collins to entertain the crowd throughout the night. From player interviews to the Dance Cam, 3PT ensured the messaging and timing were on point. The NBA D-League Dream Factory is comprised of a 3-point and dunk contest. 2014 marked our first year involved in the Dream Factory event and it was screaming with excitement. Both events went into tie-breaking final rounds. AJ Singler hit a money-ball with his final shot to win the 3-point title while the reigning champion Tony Mitchell went dunk for dunk with Ra’Shad James to win his second straight dunk title. The dunk contest exceeded expectations and set the table for the NBA Dunk Contest later that night. The best young basketball talent and future stars of the NBA are showcased as part of All-Star weekend in the NBA D-League All-Star game. 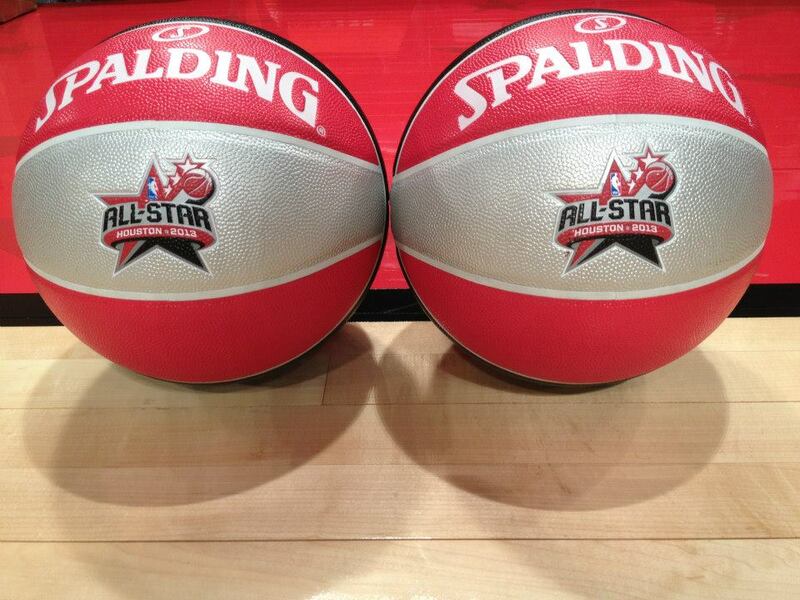 This game provides a platform for the top players in the NBA D-League to shine amongst the NBA's brightest. 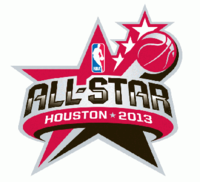 We've acted as the game director for this game in 2012 and 2014, which takes place annually as part of NBA Jam Session. 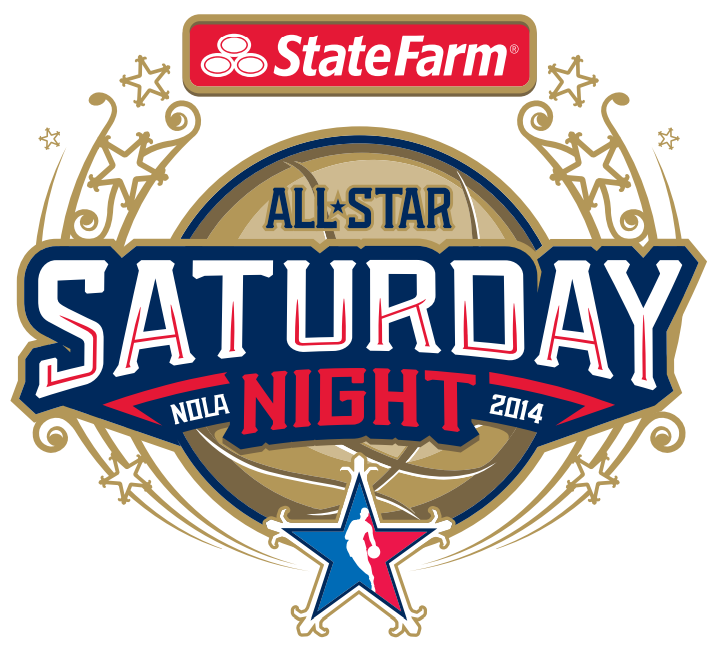 When the NBA moved to the East vs. West format for the Saturday night competitions in 2013, we worked with them to craft a new event script and produce the role of a new face to All-Star Saturday Night as In-Arena Host, Nick Cannon of America's Got Talent. A favorite moment for us was seeing former University of Washington star Terrence Ross win the 2013 Sprite Slam Dunk contest. 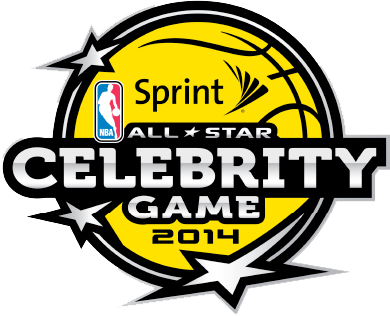 3PT was back again in 2013 to direct the Sprint NBA All-Star Celebrity Game. A familiar storyline played out as Kevin Hart put his size to the test, earning back-to-back Celebrity Game MVP honors. The clinching moment was when he challenged Jamaican sprinter and world-record holder, Usain Bolt, to a race and prevailed triumphantly - although not fully within the rules, but the fans loved it. The clip became a viral sensation amongst social media outlets. 3PT continued its long running relationship with the NBA by directing the Sprint NBA All-Star Celebrity Game when the festivities took place in Orlando. 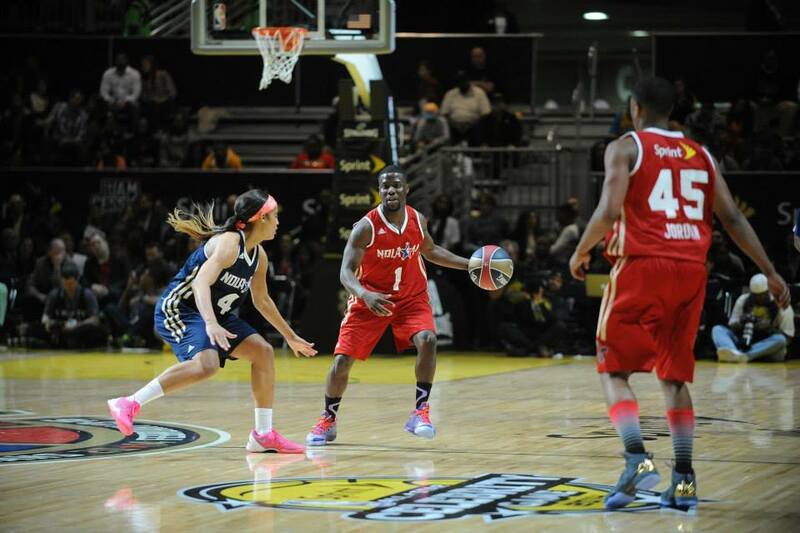 That year, Kevin Hart made his celebrity game debut and despite a rough stat line, claimed his 1st Celebrity Game MVP award. 3PT made our musical event debut as the Sprint Pregame Concert tipped off festivities on All-Star Sunday outside the Amway Center. Featuring Gym Class Heroes, J. Cole and a surprise appearance by Lil’ Wayne, we played a key role in directing the two-hour show broadcast live on TNT and NBA TV. The best young basketball talent and future stars of the NBA are showcased as part of All-Star weekend in the NBA D-League All-Star game. This game provides a platform for the top players in the NBA D-League to shine amongst the NBA's brightest. We've acted as the game director for this game.